When I started studying this account of the widow's mite, the phrase that immediately leapt of the page was found in Mark 12:41 "And He sat down opposite the treasury, and began observing how the people were putting money into the treasury; and many rich people were putting in large sums." Amidst the hustle and bustle of people dropping in their contributions, Jesus watched "how they gave". That made me realize that even if we are giving 10% or more of our gross income, could it be that we could still be giving in a sinful manner? If we are going through the motions without consideration as to why we are giving or for whose glory we are giving, will our heart be found pleasing to the Lord? How we give is as important was how much we give. Notice what 2 Corinthians 8:1-3 states about how Christians gave in the churches of Macedonia in the first century - "Now, brethren, we wish to make known to you the grace of God which has been given in the churches of Macedonia, 2 that in a great ordeal of affliction their abundance of joy and their deep poverty overflowed in the wealth of their liberality.3 For I testify that according to their ability, and beyond their ability, they gave of their own accord." Paul emphasizes the manner of giving as being paramount in 2 Corinthians 9:7-8 "Each one must do just as he has purposed in his heart, not grudgingly or under compulsion, for God loves a cheerful giver. 8 And God is able to make all grace abound to you, so that always having all sufficiency in everything, you may have an abundance for every good deed." If we are to give as the Lord has commanded us to give in Biblical stewardship, we must begin with the heart. As the saying goes: "the heart of the matter is the heart". So where is your heart and my heart? When this widow approached the treasuries of the temple, we note no hesitation. Jesus had just mentioned the fact that there were those in charge of the treasuries who were so unscrupulous as to exploit such widows as the widow in Mark 12:41-44. Regardless of that fact, the widow gave with a willing heart dedicated to her Lord. How she gave was noted by the Lord Jesus in his teaching of the disciples. Hence if we are to give our all to God, we must first ask: how am I giving? In Mark 12:42-43 we read - "A poor widow came and put in two small copper coins, which amount to a cent.43 Calling His disciples to Him, He said to them, “Truly I say to you, this poor widow put in more than all the contributors to the treasury." Jesus' statement to his disciples regarding how the widow gave "more" is obviously not a statement about here quanity compared to the other people's quanity of giving. By man-made standards - it is clear that those giving that day must had given enormous sums. But we must remember that in the Bible's teaching of stewardship, we are urged to look at resources not through man's eyes but God's. God's commands in terms of "how much we ought to give" begins with a minimum amount in proportion to one's income. As we study the scriptures on the subject of giving, the standard of 10% or "the tithe" is evoked as the beginning point of giving. Whatever goes beyond the tithe is offering and to the degree that one gives to the point of seeming impoverishment to themselves is classified as "sacrifical giving". The Macedonian churches for example in the above cited passage of 2 Corinthians 8:1-3 gave "beyond their ability" - hence sacrifical giving. One could argue that in regards to Paul's statements in 2 Corinthians 9:8, what is being advocated are offerings that extend beyond the tithe. God's directions in terms of how much one ought to give is built on two principles: proportion and willingness. I think it is fair at this point to ask the question: is tithing or giving 10% of one's own gross (not net) income still for today? As you read through scripture, the particular word "tithe" or "tithing" occurs more than forty times. The last time we find it mentioned in the Old Testament is in Malachi 3:10 "Bring the whole tithe into the storehouse, so that there may be food in My house, and test Me now in this,” says the Lord of hosts, “if I will not open for you the windows of heaven and pour out for you a blessing until it overflows." Now many well-meaning Christians assume that tithing was nothing more than an Old Testament regulation, given by God under the period of the Law. Often I have heard Christians say that since we are no longer under law but under grace, that means we can now give whatever we want, since tithing went away once Christ had died on the cross. People holding to this viewpoint may very well advocate the willingness aspect of stewardship, however they neglect the other principle of proportion in our giving. So did Jesus' death, burial and resurrection do away with the standard of tithing? Whenever studying both the Old and New Testaments, unless God has either removed or replaced a given institution or command, we can assume that the command or institution carries forth from Old to New Testament. Now whenever we come to the New Testament, we discover not one prohibition against tithing. The standard of 10% was ordained by God some 400 or so years before the giving of the law. Abel, Abraham and Jacob were tithing millennia before Christ and centuries before the giving of the law. The law of God served to reinforce the standard, however when Christ came, the standard was never removed nor replaced. 1. A person is free to give whatever they want (offering) only after they have been already tithing. 2. Tithing represents the most basic level of stewardship, the ground floor if you will. Whenever we begin to tithe is whenever we begin to hear God in the realm of giving. Hence the principles for stewardship laid down by God in the Old Testament (willingness and proportion - i.e tithing) still remain in effect in the New Testament. If anything, for those who try to still argue against tithing, I would point out that if anything, the New Testament raises the standard. 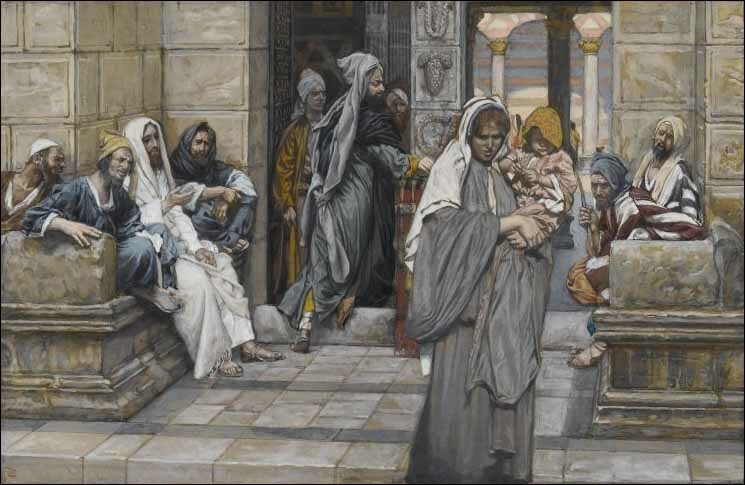 When we see this widow in Mark 12:41-44, she is giving her last. She did not pay her bills and give God the left-overs. In her extreme level of love and faith - she gave her all. I truly believe that based upon other accounts in scripture that speaks of God's care of widows (1 Kings 17 for example), I think one could argue that Jesus' commendation of her giving meant that she had the grace of God already operating in her life - and that she was going to not only make it, but be blessed far beyond what her fellow givers could even begin to imagine.